Discover some of the most beautiful and interesting cars ever made. If the XL1 seems like an odd choice to be featured on these pages, then let this be something of a precedent for future albums. The Whole Car certainly focuses predominantly on the beautiful, the exotic, classics, racing cars and current offerings from manufacturers that make enthusiasts a bit sweaty - can't deny that. I feel though, that it should also be a space for the slow car, if it has been made with interesting technologies that are on the cutting edge of automotive development. 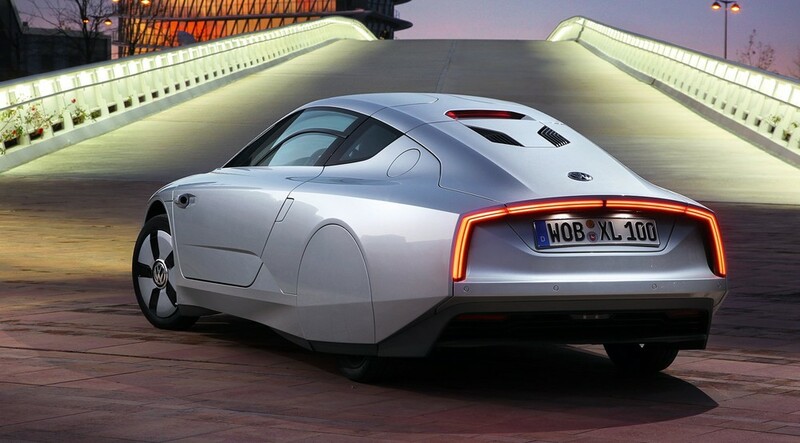 As the Volkswagen XL1 is the world's most efficient production car, I think that it qualifies for a further look. 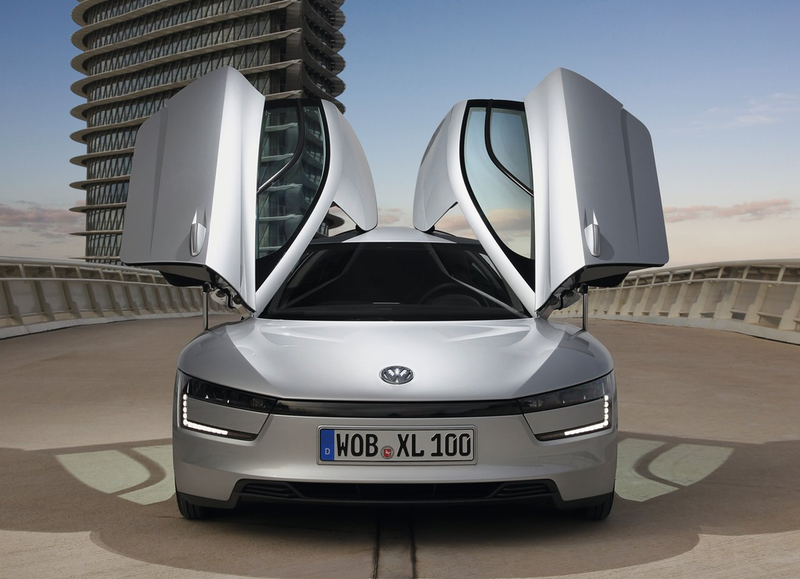 VW only plan to build 250 of the XL1, and sadly they aren't going outside of Europe. 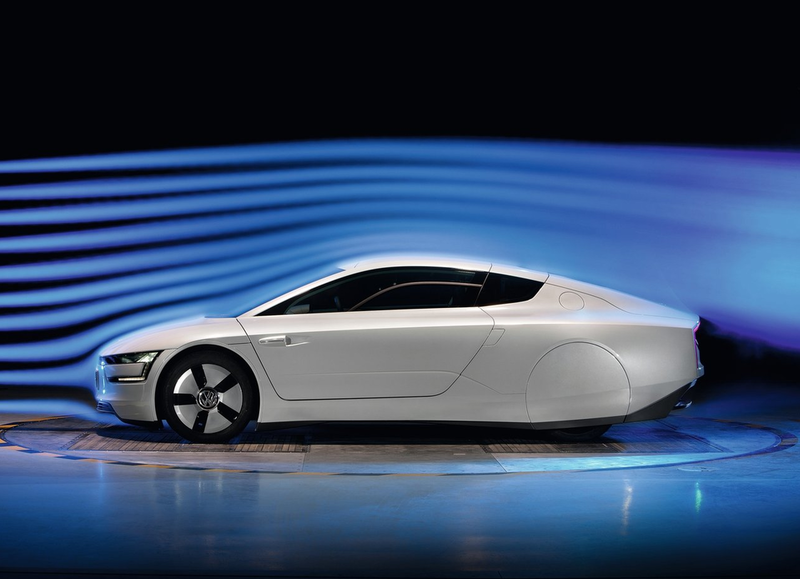 VW officials routinely answer that the XL1 is more of a "lighthouse" vehicle (I assume that's a "halo car" for efficiency technology) that will light the way for more competition in the sector and demonstrate the technologies and materials of the future, today. Whatever the reason, these things are bloody expensive - customers are looking at coughing up €111,000 ($145,000) for each of these mad little hypermilers. It's highly likely that VW are taking a big initial loss on the development of the XL1, but they want these little cars driving about getting some press I imagine. I really mean it when I say it's a little car too - its the size of a Polo, yet as low as a Lamborghini (and hilariously has the interior door handles straight off the Aventador). In many respects, this car is similar to the Bugatti Veyron. I mean that it’s the absolute pinnacle of engineering that we as a company are capable of right now. It’s an extreme car, it’s just that it’s the opposite of the Veyron. But the technology and the design are equally important. There had to be some creature comforts, but we’ve done everything possible to keep the weight down. The gearbox, which is a twin-clutch automatic, has been rehoused in a magnesium casing because it’s incredibly light — the entire car only weighs 1,752 pounds. The tires are narrow to keep down the rolling resistance and the rears are covered by wheel spats that aid streamlining. You will also notice there are no exterior mirrors. There are two rear-facing cameras fitted into either side of the car, and the real-time images are fed to screens in the doors. Look, we know that engines are being downsized, forced induction is coming to be commonplace instead of large capacity motors, the focus at the moment is on light weight, and electric powertrains are a big focus of development now. It's a bit hard to accept for some, but I choose to see the silver lining, where a future car enthusiast may be driving a far lighter vehicle of the same size as they do currently, with lots of interesting tech to not only keep emissions down, but keep the fun in driving. 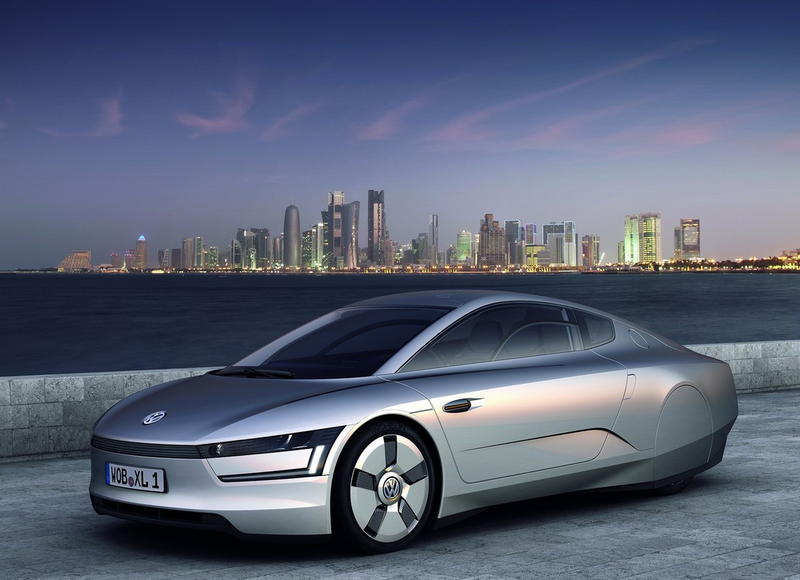 That said, I feel like this was a real missed opportunity for VW, where they went ultra-exotic with material choices to get the headlines, when they could have instead focused on a more realistic price point and sacrificed some MPG to get it in the hands of thousands of customers, and make a tangible difference to the CO2 being emitted on the road. It could have been an iconic car that put the Prius et al to shame, but instead it really can't be compared - as the price is in another world and it's not a mass produced car. Here's hoping that some of the tech finds it's way into the Golf sooner rather than later so all that R&D can be put to good use by the masses.